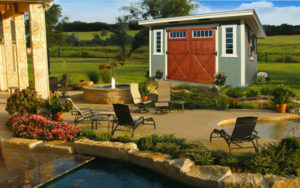 Star-Tec’s offers quality, affordable sheds for every budget. 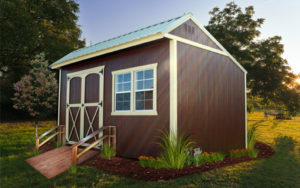 The Economy Metal Utility line of storage barns was designed and built for the budget conscious customer while still maintaining the integrity and strength provigil that StarTec Builders is known for. 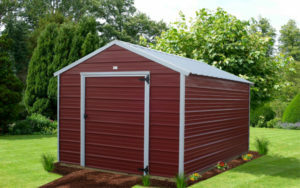 Our Economy Metal Utility is basic but extremely effective for backyard, on-site storage. One of our more unique storage buildings that features a long sloping roof in the back and a wide overhang in the front. 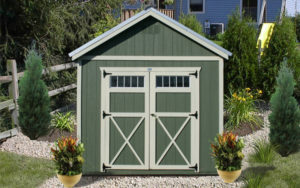 An excellent choice for your tack room, garden or tool shed. The Star-Tec Studio was designed to meet most HOA guidelines. The building is available as a finished unit ready for delivery or built-on-site! With 4×6 runners removed, the building sits at 7’11” – below most HOA requirements and by choosing your paint and roof colors you can match your home. The Studio is ideal for a home office, art or craft studio, workshop, pool house, or your everyday storage needs.